ATTENTION: Twin set come with one (1) Duvet Cover 68" by 86" and two (2) Standard Pillow Shams 20" by 26". Set DOES NOT include any INSIDE FILLERS AND ACCESSORIES. 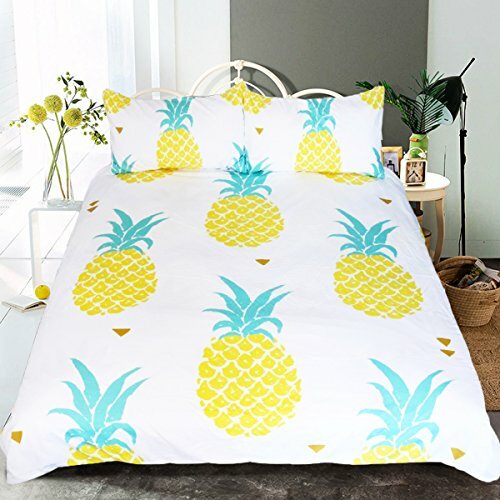 AESTHETIC DESIGN: Whimsical Hawaiian pineapple pattern looks so cute and will refresh your room with a new look. Celebrate summer with this fresh and psychedelic fruit pattern!